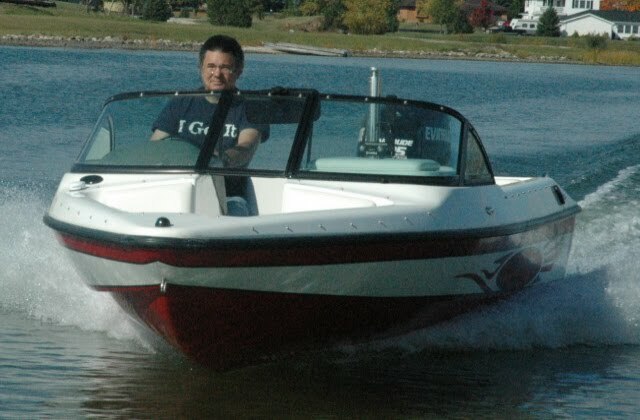 Dyna-Ski Boats really builds boats to order. It helps keep our costs down a lot. It saves the buyers money but it means you do have to plan ahead or risk disappointment. The more different models and options a manufacturer offers the harder it is to try and stock finished products. Guessing what the buyers want is a real crap shoot. We used to be able to order fiberglass materials this week, get it delivered next week and the bill would arrive in the mail at the end of the month or billing cycle. Not any more. Now we order material this week and sometimes it does not come for 2 or 3 months. Often times now we have to pay for it when we order it or before they will start our order. Fiberglass materials have a short shelf life so you cannot simply keep more on hand. Kind of like food in the refrigerator. Storage space is also an issue not to mention holding costs. Lead time from trailer companies can be 8 weeks in season. As I'm writing this March 9th, 2012 it is 4 weeks for trailers. Teleflex (steering) is usually 3 or 4 weeks year round. The hydraulic division is located in Canada so that adds to the time frame. Companies also have plant shut downs when it gets slow. This adds to the time frame as many of them build stuff only when it is ordered, paid for and they are in production. Some sales people go on vacation so that can add a week to the ordering and purchasing process. The US outboard engine companies are pretty good about shipping product. However even they have supplier problems from time to time and problems at the model year change over which is July first. Sometimes a particular size of outboard engine may not be available in June. Occasionally they run out even in May. Every time that you think you have seen or experienced it all something new comes into play to mess things up. A new boat is a big expense. Trying a boat similar to what you want to buy is a very good idea. Nothing worse than having an expensive item that you don't use or like. At Dyna-Ski Boats with a prior agreement to a visit to test a Dyna-Ski Boat we will reimburse up to $500 in expenses if you purchase a Dyna-Ski Boat from us within one year of the test drive and/or ski. I'm wanting to get a couple places in warmer areas so we can offer this option year round. My wife and family (mostly the dog really) would not be happy if I relocated to Florida for the winter so I could offer this option myself from Florida.